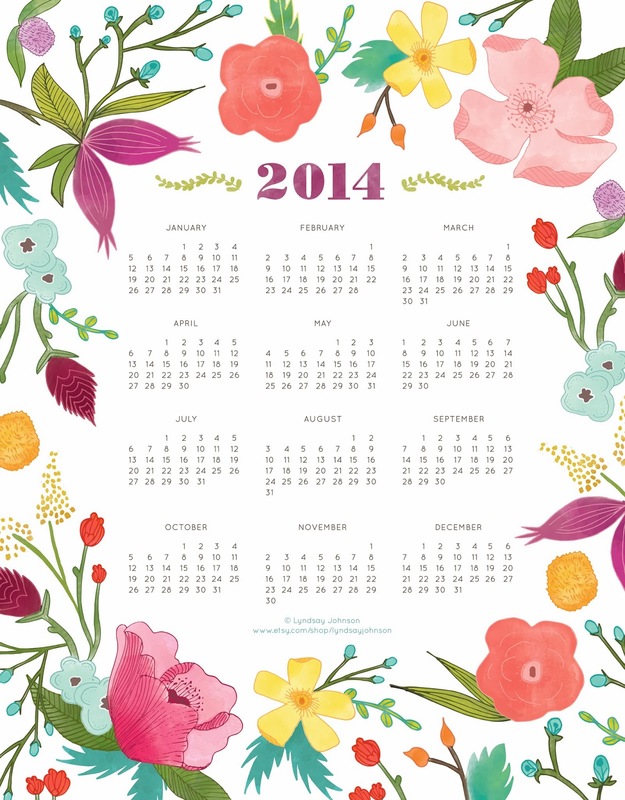 Lyndsay Johnson: PRINTED 2014 Botanical Calendar now available! PRINTED 2014 Botanical Calendar now available! While most of us are still trying to get ready for Christmas, over at the Blog Guidebook we have moved on to New Year's! We are so happy to offer you my botanical calendar design as a PRINT. It is available in the Blog Guidebook's Etsy shop. We have an 11x17 PRINTED version on high quality semi-gloss paper, or a 2-pack of the printed calendar for a discounted price. So click on over and grab yours today! They would make a lovely gift. Don't have time to order the printed version? Just download the digital version to print on your own paper (it would be gorgeous on watercolor paper). Find it HERE. Happy Holidays...and New Year!